This necklace is a bundle of fun! 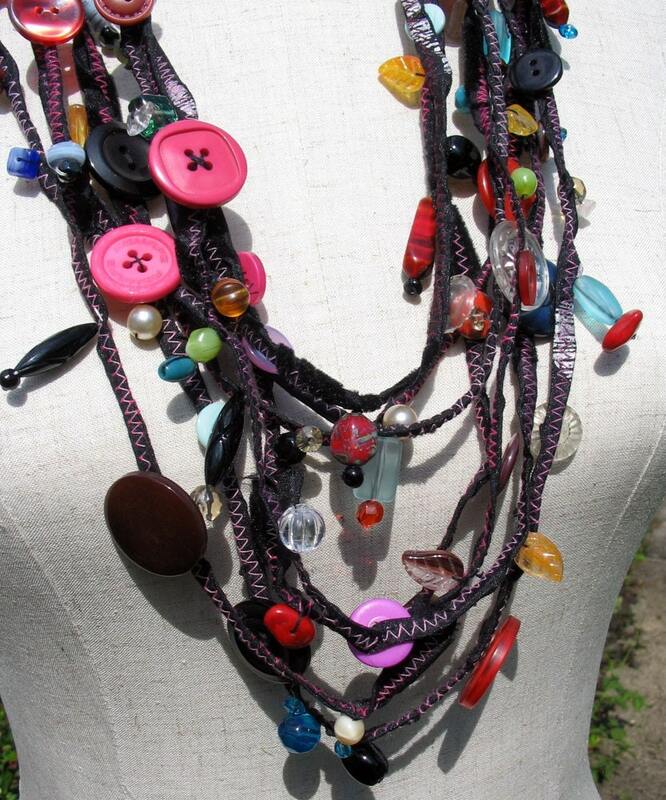 Multi-strings of black corded fabric are embellished with a multitude of beads and buttons...some vintage, some old and some new. Folksy :: Buy "Beads and Buttons Cuff bracelet - pink"